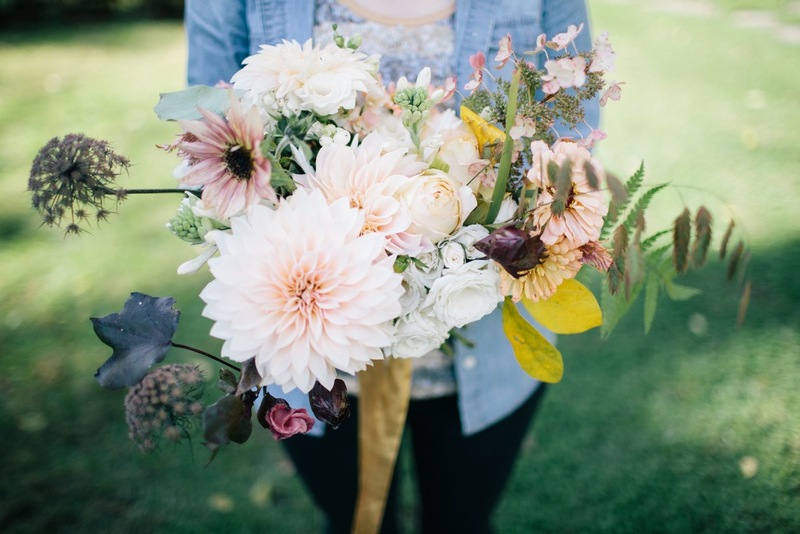 My favorite bouquets always start with a walk in the woods and end at a local flower farm. It’s there that I find ingredients that are not only unique and special like my brides, but these ingredients speak to the present moment. I think that’s really special. Here is a behind-the-scenes look at what goes into a bridal bouquet and the ingredients it calls for. I hope it inspires you as you plan your wedding! You can check out the full feature on 100 Layer Cake! All these beautiful photos by Sara Logan Photography!